Not Just Spa Software, CRM At Its Best! Guest Dashboard keeps everyone on the pulse every minute: from the chair, room, or at the front desk. Watch customer service and sales tickets improve using Cloud devices for the team. 360 Degree Social Marketing with VCS Salon Software and Spa Software. Text, email, Facebook and Twitter are All integrated. VCS can measure who came in, what they spent and if they returned. Our Amazon ec2 Cloud host is up 99.9999% of the time. Powerful server, all your software, daily backups, disaster recovery and 24/7 support = more for your money for your spa and salon. Salon and spa software on the Cloud by Virtual Cloud Software scales and conforms to any operation in Beauty and Wellness for one low monthly service fee. Operate VCS on a desktop, tablet, or phone by simply logging onto the internet with a secure password. Hosted on a real public Cloud, Amazon ec2 is rated #1 in the world with a 99.9999% up-time. Improve guest flow and increase sales using touch screen VCS on any browser device. 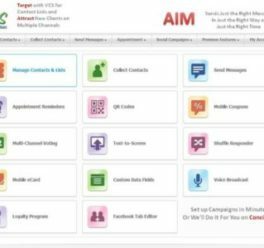 AIM (all in one messaging) completes the circle to stay in touch between visits using targeted intelligent messaging. AIM tells you how many opened and VCS tells you who came in and how much they spent to fine tune your marketing efforts. Contact us at 800.382.5510 or email us and let us help you improve. inspect the aussie pokies sites no download.